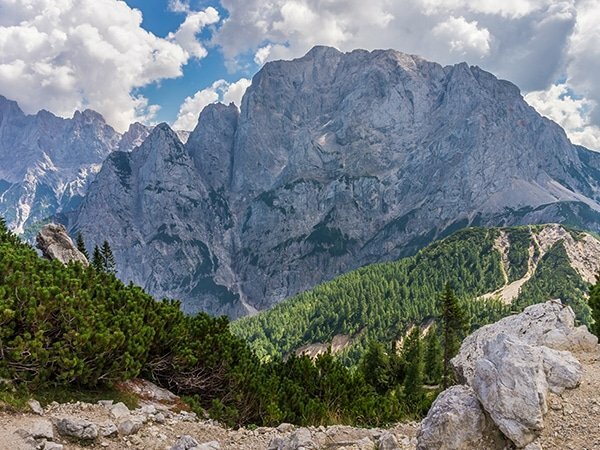 Though it may be a secret to many hikers of the world, Slovenia’s Julian Alps feature some of the best hiking trails in the Alps. 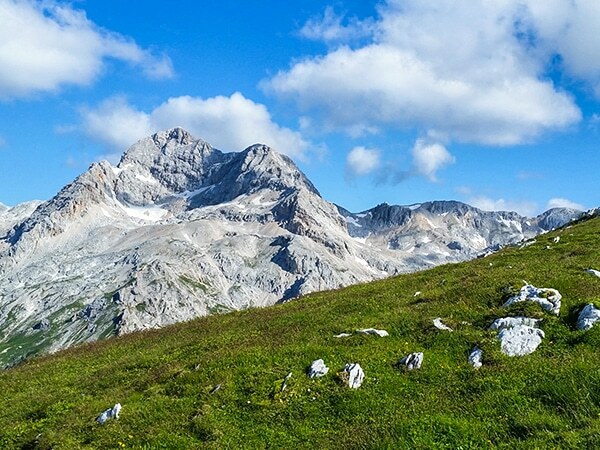 With a heavy dose of culture, natural beauty, delicious local dishes and friendly citizens, it’s no secret the Julian Alps are an increasingly popular destination for nature lovers. The trails here are varied – from short scenic hikes, to all-day treks that take you into the heart of the mountain chain. With an unspoiled natural environment and many quaint mountain huts offering homemade cuisine, the Julian Alps will quickly win you over. Beginning at Slovenia’s highest mountain road pass – Vršič – the hike to Slemenova Špica is a classic, must do route in the Julian Alps. With just a small amount of effort, you can quickly feel the magic of the high walls and stunning views. Just before you reach the top of the grassy peak, you’ll find one of the most photographed shots in all of Slovenia. Though just a short walk, The Path of the Pagan Girl is an excellent hike around the Vršič pass area, with a little mystery behind it. Legend has it the girl was a fate deity, cursed by her sisters and forever turned to stone. When you follow along the path, surrounded by high mountain peaks, you may see her face (and perhaps she’ll also foretell your future, too!). 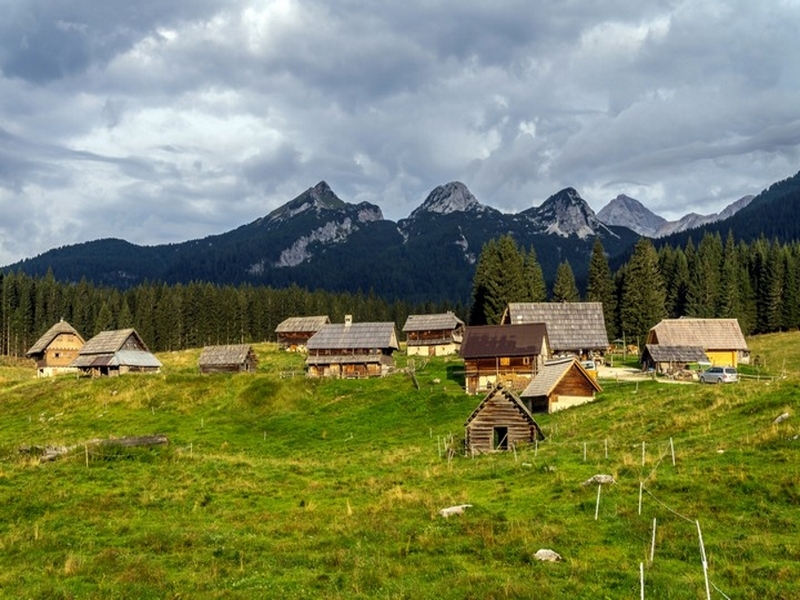 To experience one of the most panoramic views in the Julian Alps, check out the Debela Peč hike on the northern edge of the Pokljuka plateau.  You’ll find steep walls on the northern side – above the Krma Valley – and modern grassy slopes on the southern – above the forest of Pokljuka. 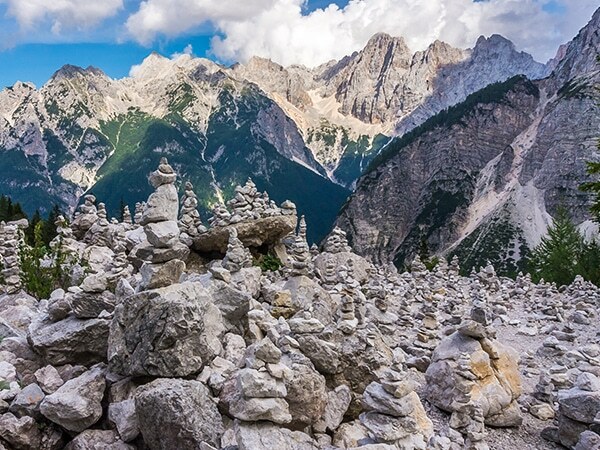 This hike in the Julian Alps is both diverse and stunning. The Mount Tosc hike will whisk you from the heart of Pokljuka’s vast forests to the top of the prominent mountain peak. On the trail you’ll also get to experience some of the best views of Mount Triglav’s southern slopes. A popular winter sport destination, the Vogel Ski area is a also a must-see hiking destination. Here you can find a wide selection of activities and experiences to explore the mountains in the area. Plus we think the hike to Mount Rodica (in the “Kingdom of Zlatorog”) is the absolute cherry on top! 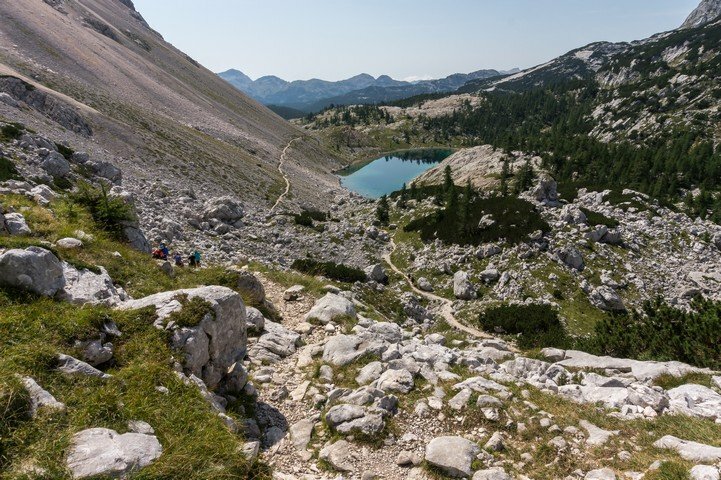 While the hike the Kredarica is long, it’s definitely not the most challenging trails in the Julian Alps. Though you’ll start in the lower elevation of the Krma Valley meadow, the route guides you up high above the tree line. 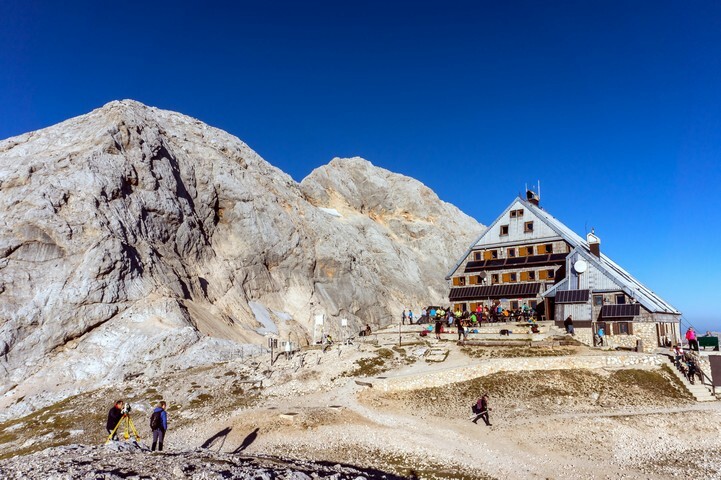 You’ll be directed to Slovenia’s highest mountain hut (standing at 2515m), where you can nearly reach out and touch the peak of Mount Triglav! 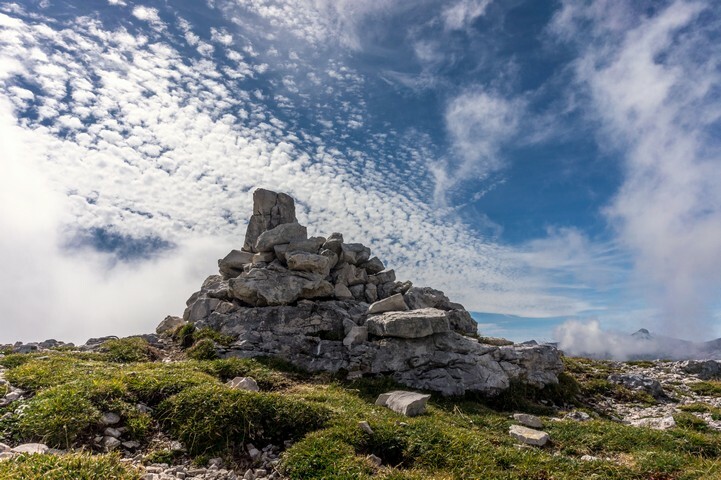 As is often the case with many locations along the Alps, the hike to Mount Krn also features a plethora of history and artifacts dating back to the WWI battles. 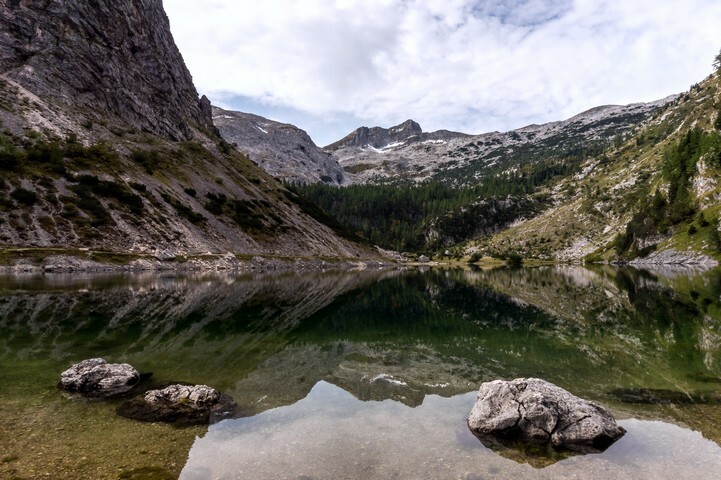 In contrast, however, you’ll see this trail is also very peaceful, boasting glittering lakes, rolling valleys, soft meadows and beautiful scenery throughout. The Valley of the Seven Lakes is perhaps the most popular area in the entire Julian Alps. We think any trip to the area is not complete without experiencing the hilly landscapes, jagged rock ridges, distant panoramas, glistening lakes, cozy mountain huts and picturesque pastures. Though this is a full day out – more than 25.0km of trail, hiking in the Valley of the Seven Lakes is absolutely worth it. Dreaming of a steady climb surrounded by the smell of pines? 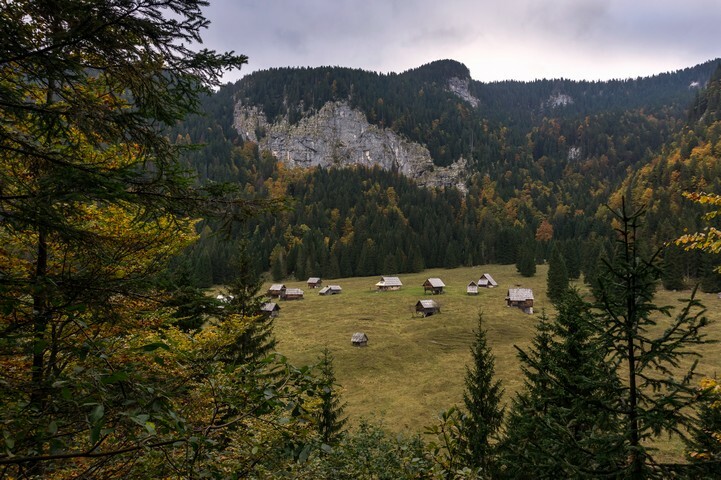 The Komna and Lanževica hike is exactly what you’re looking for! 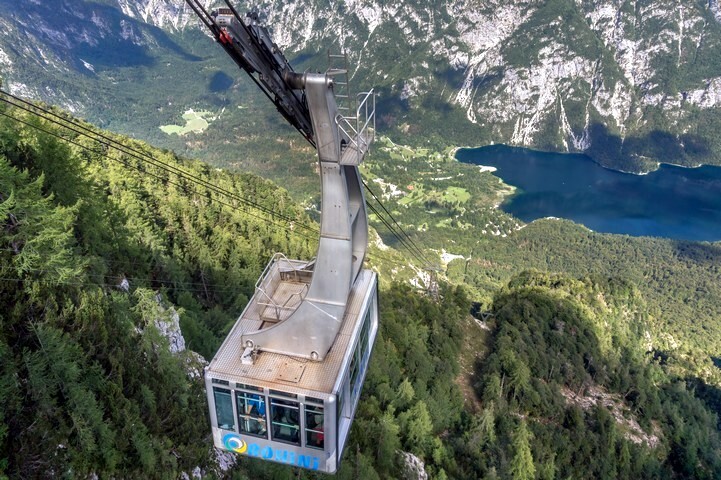 You may not think the peak of Mount Lanževica is a true showstopper, but it’s actually one of the most panoramic points in all of the Julian Alps. Again, a long day out, but definitely rewarding. Cheese, cheese and more cheese? Yes please! The Bohinj Pastures route takes you on a long but enjoyable walk past six traditional cheese production farms and dairy pastures. You can find some of them still active, selling mouthwatering homemade cheese and dairy products – the perfect stamina to a long hike in the Julian Alps.